의령 성황리 소나무는 마을 뒷산의 경사면에서 자라고 있으며, 나무의 나이는 300년 정도로 추정(지정일 기준)하고 있다. 높이 13.5m, 둘레 4.8m의 크기로 1∼2.7m 높이에서 가지가 4개로 갈라져 옆으로 넓게 퍼졌으나, 그 가운데 하나는 죽어버렸다. 의령 성황리 소나무에 대한 유래는 알려져 있지 않으나, 북쪽에는 묘소가 있고, 마을 앞 산기슭에는 의령 남씨의 사당이 있어 이와 어떤 관련이 있을 것이라고 생각된다. 이 소나무와 30m 정도 떨어져 있는 다른 소나무의 가지가 맞닿으면 통일이 된다는 말이 전해지고 있다. 의령 성황리 소나무는 마을을 지켜주고 보호하는 오래된 서낭나무로서 민속적 자료로서의 가치가 있으며 생물학적 자료로서의 가치도 크므로 천연기념물로 지정하여 보호하고 있다. 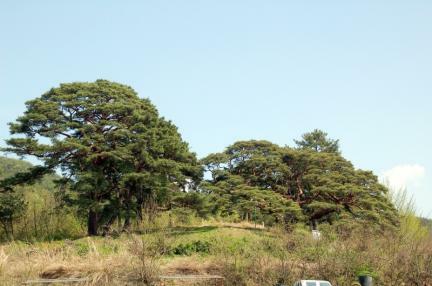 The Pine Tree of Seonghwang-ri, Uiryeong stands on the slope of a small mountain near the town. 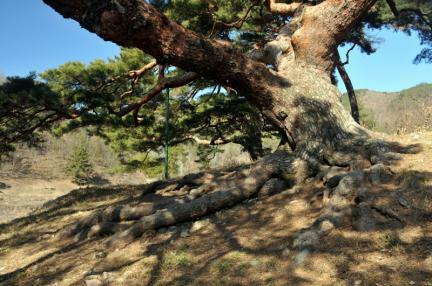 It is about 300 years old, with height of 13.5m and girth of 4.8m. The branches are divided into four and spread widely but one of them is rotten. The origin of this tree is not known. 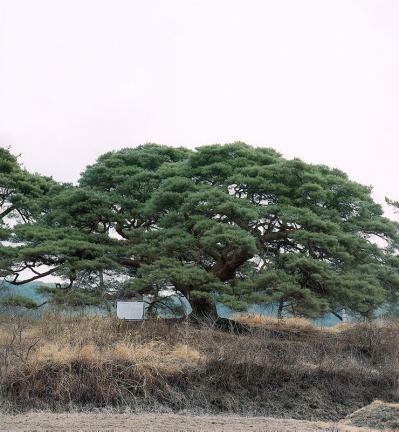 However, this tree is presumed to be related to Uiryeong Nam clan because there are a tomb near the tree and an ancestral shrine of Uiryeong Nam clan at the foot of a mountain in front of village. There is an interesting story about this tree. 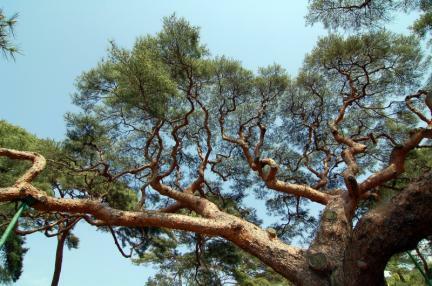 The villagers believed that, if the branches of the tree reached the branches of another pine tree that stood 30m away, South and North Korea would be united. 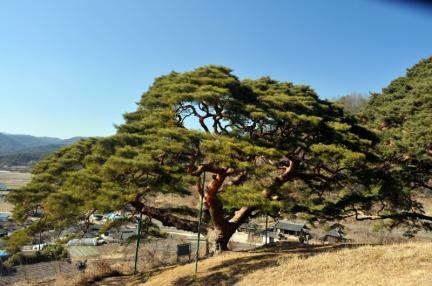 Since the pine tree of Seonghwang-ri has been under the villagers' care and protection and it has long been worshipped by the local community as a village guardian, it is designated and protected as a Natural Monument.